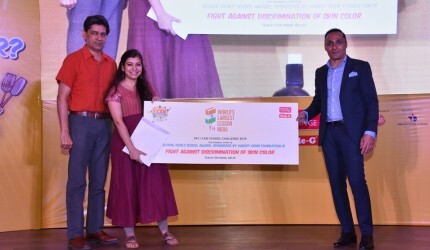 As such they led a campaign to achieve small but lasting changes across their school system, which would equal out the ways boys and girls were treated. The Head Teacher supported them and they were able to take the following actions, during the course of a year at school. •	Changed the order of names in the attendance. Before they started their activities the names in the registers of the school put the boys’ names at the top. They spoke to the Head Teacher and called for this to be changed, now the names are in alphabetical order. •	Students had to draw pictures of inspirational female leaders to go up around the school, as before hand there were only photos and pictures of male leaders. •	Students had to write stories with female protagonist and antagonist, and read them out in lessons. •	Students made posters, on gender equality, including female infanticide that went up around the school. •	Boys as well as girls now give prayer in assembly, previously only girls were asked to do this task. •	Movie making on gender equality which also enabled students to learn a new skill of making films to raise awareness of social issues. •	Change in seating arrangement – The boys and girls used to sit separately with a wide gap between them, which the children believed meant that they hesitate to work in mixed groups. As such they successfully called for all children to sit together in rows alternating boys and girls, which lead to an increase in interaction. 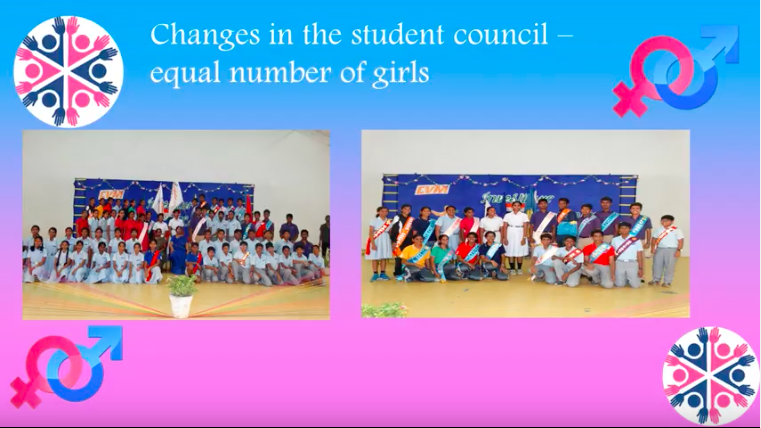 •	The Head Teacher conducted many sessions with the students on gender sensitivity which the children believe helped to break down barriers around gender that were existing in the minds of some of the male students. You can watch a video of their activities to learn more about the incredible impact they had by following this link. This group of girls received one of our four GEMS Education Global Goals Awards, which sees them getting a financial grant to continue their work over the next year. 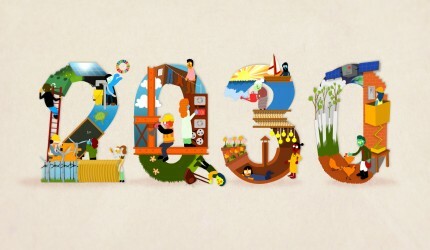 The World’s Largest Lesson India are thrilled to support these children, and others across India, to take real action towards achieving the Sustainable Development Goals.